Have you made your list and checked it twice? I love finding that perfect something for everyone on my list. However, just because I enjoy it, does not mean holiday shopping isn’t stressful for me. One way I cut down holiday stress is to plan out my gift shopping. This holiday season, I plan to bring you a series of curated guides for holiday gifts to help with everyone on your Christmas list. It’s stressful searching for a perfect gift and staying in budget, which is why I focused on gifts under $25. 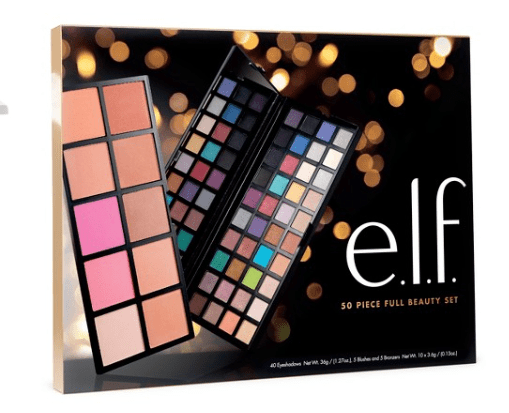 Alas, I bring you the Lovely Holiday Gift Guide: Holiday Gifts For Her Under $25. This holiday gifts guide is full of thoughtful, sweet gift ideas for co-workers, friends, gift exchanges, and gal pals who you want to buy a little something for, but not break the bank. I love receiving cookbooks as gifts. As I continue to grow in the kitchen and explore new recipes, it can be easy to get into a rut and run out of inspiration. These are some of my favorite cookbooks that have inspired me to try new flavors and pairings I never would have considered. Plus, cookbooks double as a cute kitchen accent. Your beauty product loving gal pals will appreciate these adorable beauty gift sets. 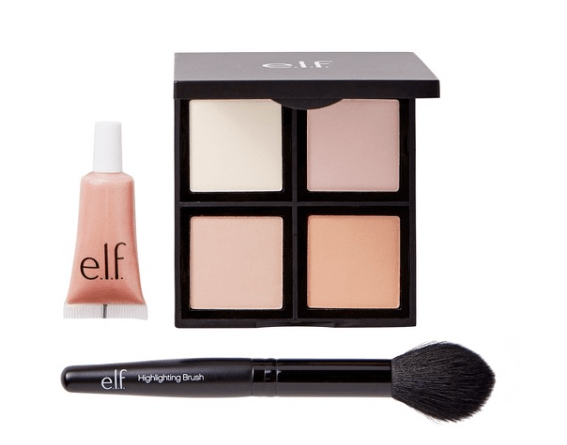 Great brands like BareMinerals and ELF always have the cutest gift set packaging and I have enjoyed giving some of these sets as gifts myself. I love knowing these products will be put to good use! Simple home accents like candles always make a nice gift that you know someone will use. Versatile decor pieces, throws, and other small home accents are among my favorite go to home gifts. I’m obviously loving anything from Chip and Joana Gaines’ Home and Hearth Collection at Target. I hope I’ve given you some great gift ideas for the ladies in your life! Finding thoughtful gifts at a great price, is something I enjoy doing and I’m happy to share these ideas with you. If you have any great gift ideas, I would love to hear! Stay tuned for more gift guides to come. Let the holiday shopping commence! So many great ideas I want to buy for myself! Haha, thank you! I know, some of these may end up being presents to myself also. I’m glad I stumbled upon this! Great ideas and suggestions. 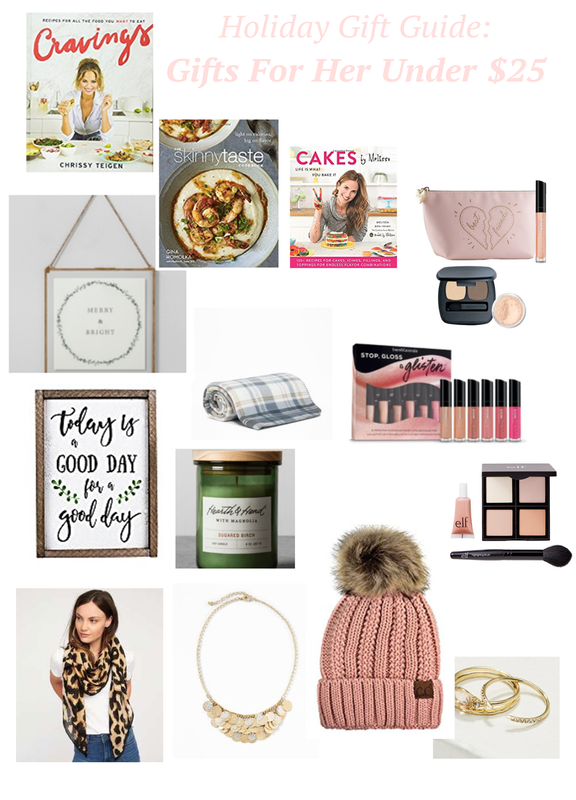 This is a really great gift guide and you make an excellent point about planning our shopping in advance! This is a really good gift guide!! I love this list! Especially the Hearth and Hand candle! I love Joanna Gaines !! Thank you! I love anything she does haha! Me, too! They’re the cutest. I always welcome a candle and some make-up! Love your gift suggestions! Haha, same! I’m glad you found the gift guide helpful. This is perfect for my secret Santa gifts! I’m happy to hear that! I think the price point is good for many gift exchanges. Great gift guide! I’m loving the pink theme.